Janitors say they’re prepared to walk off the job to protest unsafe conditions and illegal retaliation. Non-union janitors who clean Target stores in Minnesota say they’ll go on strike unless their employers agree by noon on Sunday to meet and discuss alleged crimes. The workers are employed by three janitorial contractors—Prestige Maintenance USA, Diversified Maintenance Systems and Carlson Building Maintenance—and work inside Target facilities in Minneapolis and St. Paul. The strike threat follows a series of OSHA charges alleging that employees of those companies were denied proper safety training and locked inside of Target stores, and National Labor Relations Board charges alleging that they were retaliated against for organizing. 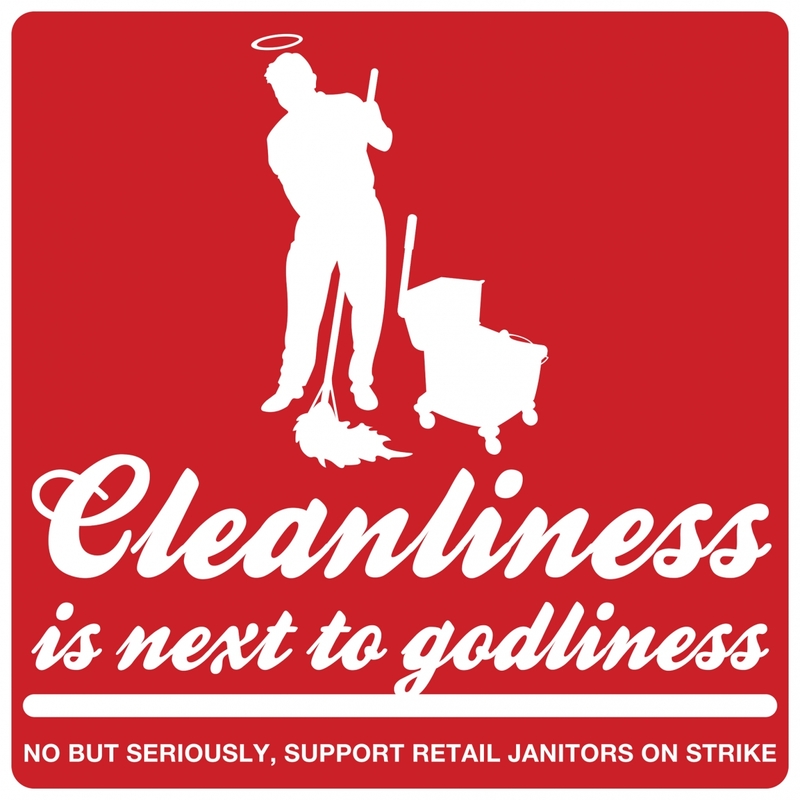 The charges and the strike threat were spearheaded by the Centro de Trabajadores Unidos en Lucha (CTUL), a Twin Cities labor group that, as The Nation reported, has been organizing retail cleaning workers for two years. CTUL is demanding that contractors meet to discuss the alleged safety and labor law violations, which it says include the firing of two workers less than a week after one of them had appeared in a campaign video. “Management told one of my co-workers that if a worker tries to strike or organize with their co-workers, they’ll be fired,” said Quirino. CTUL’s deadline is the same day as the strike deadline set by Service Employees International Union (SEIU) members who clean commercial offices in the Twin Cities, including Target’s headquarters. CTUL and SEIU have been collaborating in recent months and hope to eventually win formal union recognition and collective bargaining for CTUL members (the workers would become members of SEIU, while remaining members of CTUL, one of the country’s hundreds of alternative labor groups). That means the unionized commercial building janitors and their non-union retail counterparts could soon be on strike together. In response to an inquiry about the allegations and potential strike facing its contractors, Target spokesperson Molly Snyder e-mailed, “As these individuals are not employed by Target, I’d have to refer you to their employers.” Carlson and Prestige did not respond to requests for comment (in a January interview with The Nation, Prestige’s outside general counsel said that the company complies with the law). Kiehl accused CTUL of using the SEIU strike “to promote their own interests,” and rejected CTUL’s claim that its members were striking over illegal intimidation. She noted that “there’s certain things that companies can or cannot do” depending on whether the government finds a strike to be motivated by such “unfair labor practices”. Labor law generally allows companies to “permanently replace” workers who go on strike in order to improve their working conditions (refusing to let them return to work), but not workers whose strike was motivated by illegal intimidation. Kiehl accused CTUL of misrepresenting Diversified’s benefits, which she said include paid vacation for full-time workers. Asked what portion of Diversified’s workforce qualifies as full-time, Kiehl said that employees’ schedules are dictated by the needs of Diversified’s clients. Quirino said he wants to win a raise so that he could spend more time with his kids. “I need a second job, where I work another eight to ten hours a day, just to support my family,” he told The Nation. “So I don’t have time to be with my family.” Quirino works with one other co-worker on his shift, doing what he said used to be a three-person job. Read Josh Eidelson and Lee Fang's analysis of Obama's possible appointee to lead the Office of Management and Budget—the president of the Walmart Foundation.